Last week Arthur and I visited the Nature and Technology exhibit at the Kennedy Space Center Visitor Complex (KSCVC). We hadn’t been inside the exhibit space for quite a while; access to it had been restricted during construction projects related to the new Atlantis exhibition building. 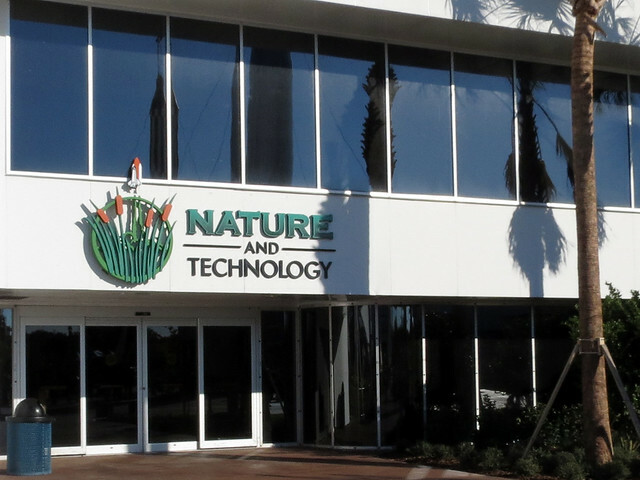 Nature and Technology is across from the Rocket Garden; notice the reflections in photo below. 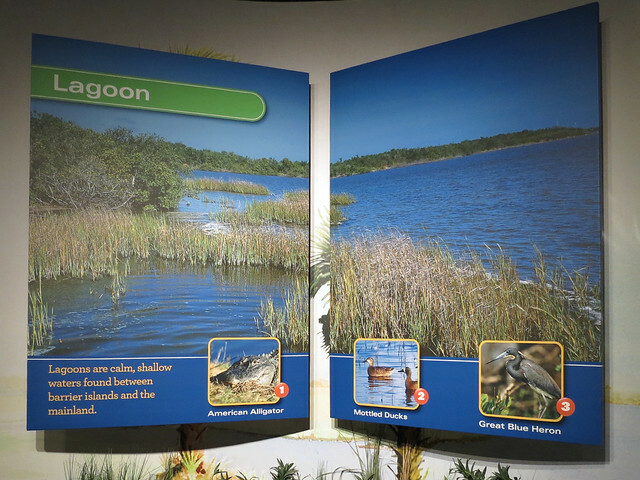 The first part of the exhibit is devoted to early human interactions with the area now known as the Space Coast. Native American history, pioneer life, citrus farming techniques, and other topics are covered via posters and artifact displays. 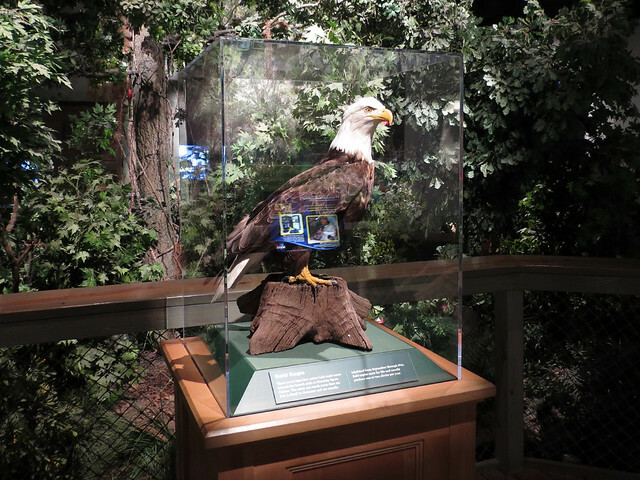 The historical exhibits weren’t familiar to us from previous visits, and we later learned that it and the rest of the Nature and Technology exhibit had recently been updated. 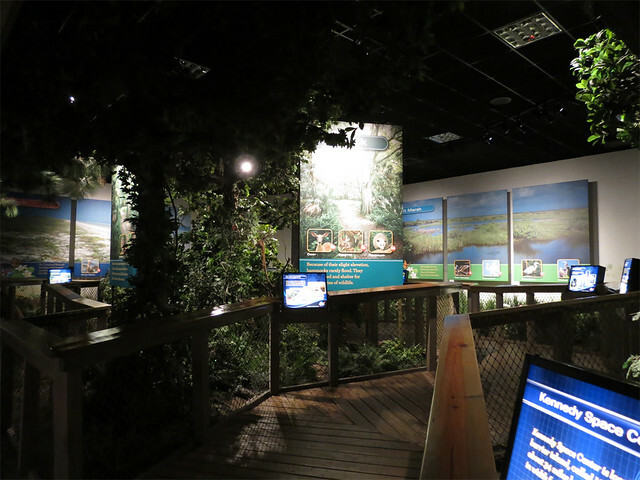 For the nature portion, a short boardwalk runs through several of the different habitat types found on Merritt Island. 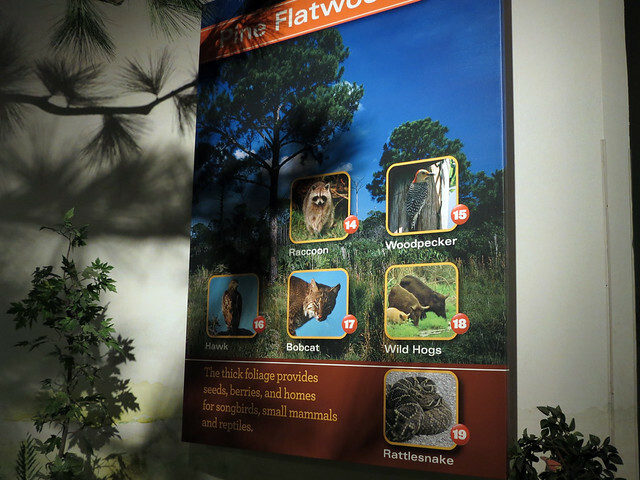 Each habitat is accompanied by informational signs, materials to mock up the particular habitat, and stuffed animal specimens. While the mock nature walk is fairly standard on first glance, we noticed some unfortunate errors and inconsistencies on the new signage. The first one we noticed was a three-time loser. 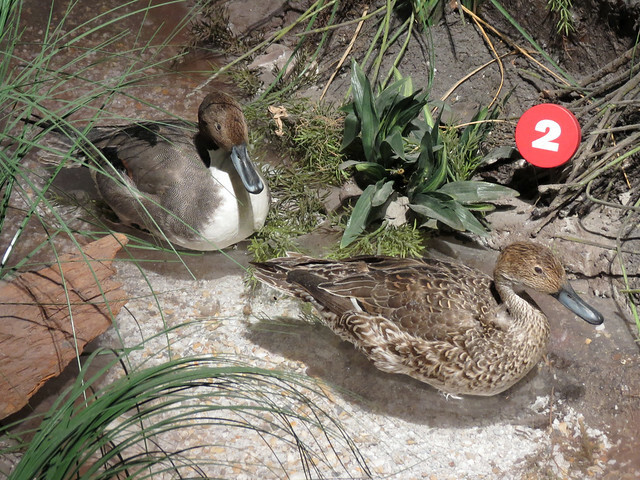 MOTTLED DUCKS are not BLUE-WINGED TEAL (photo) are not NORTHERN PINTAILS (specimens). The specimens and photo are all quite lovely; shame they are not marked correctly! 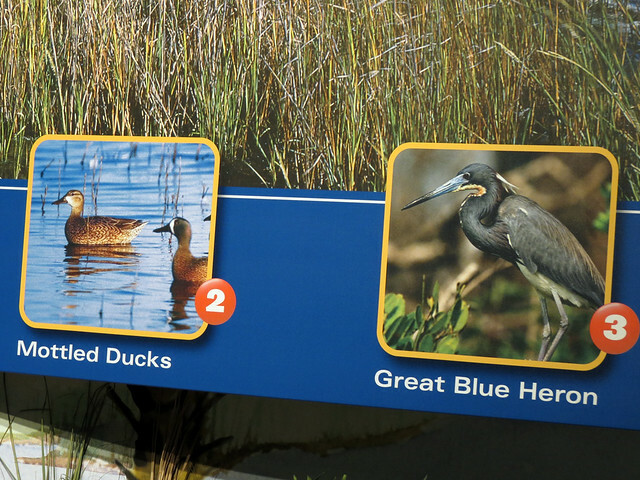 The specimen marked (3) is a GREAT BLUE HERON, so just the photo, which depicts a TRICOLORED HERON, is in error there. The non-specifics continued down the nature walk. At least the accompanying specimens matched the pictures. A RED-BELLIED WOODPECKER and a RED-SHOULDERED HAWK are perched beside their corresponding numbers. 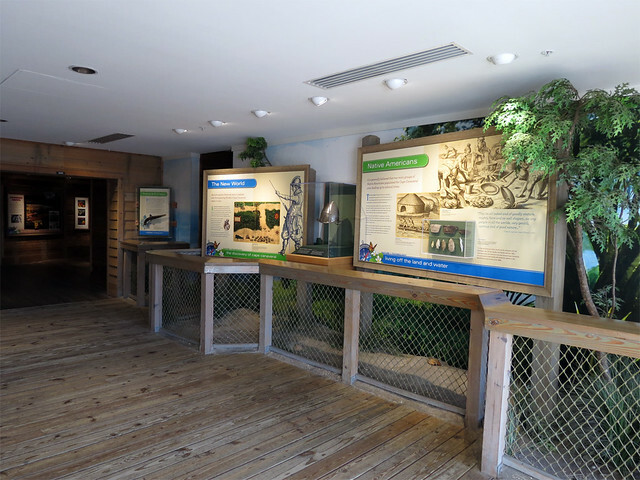 I think it is absolutely wonderful that the KSCVC has such an exhibit devoted to the amazing wildlife found on the property at Merritt Island. I always enjoy the video they play on the bus tours that highlight the refuge, and I especially love how excited everyone is when the driver pauses the video to point out the ginormous actual Bald Eagle nest that can be seen from the bus during the drive back to the bus depot. 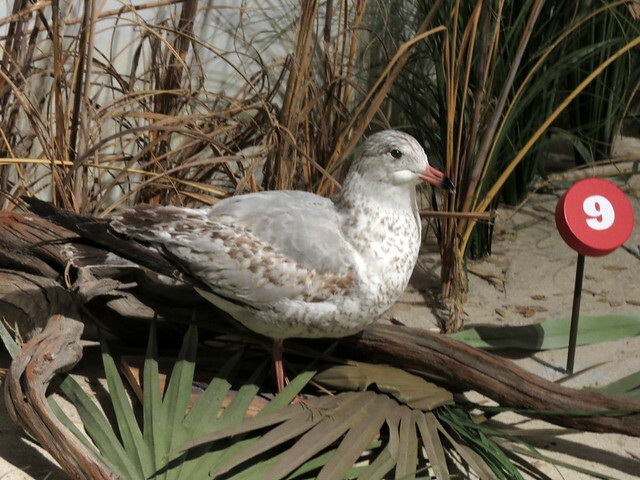 In the exhibit, the specimens and habitat displays look great. It’s unfortunate that some of the items are mislabeled. Arthur and I mentioned it to staff at the information desk as we were leaving, and our comments were taken very seriously. I don’t know if they will be able to change the signs any time soon, but with our season pass you can bet we’ll drop by the exhibit again and have another looksee. 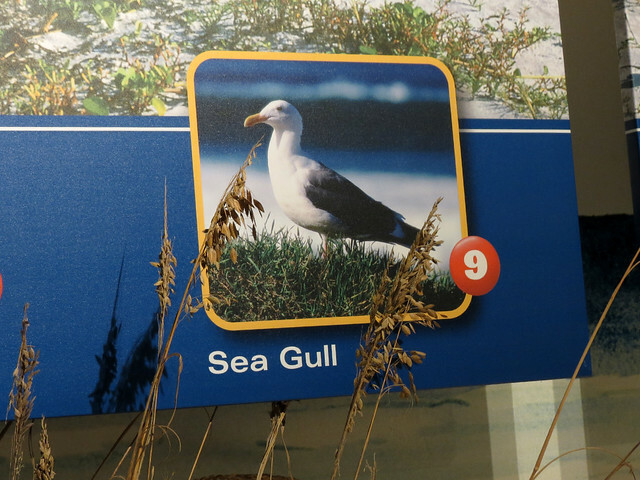 This entry was posted in Birding Blooper, Florida, Museum. Bookmark the permalink.